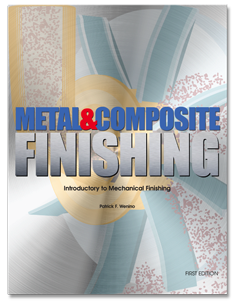 Your BEST Source for Metal and Composite Mechanical Finishing Equipment and Supplies. MC Finishing offers customers the latest in Abrasive Equipment, Sand Blasting Equipment, Mass Finishing Equipment, Robotic Finishing Equipment, Vibratory Equipment, Environmental Equipment, and Cleaning Equipment. M.C. Finishing are distributors and sales representatives of the leading American manufacturers of Metal and Composite finishing and cleaning systems. We represent Empire abrasive blast equipment, Econoline blast equipment, Roto Finish mass finishing and centrifugal disc equipment, C and M Topline Mr. Deburr vibratory equipment, Rytech vibratory equipment, Almco vibratory equipment, Mass Finishing Incorporated (MFI) high energy equipment and centrifugal barrels, Almco and Ultrasonic power cleaning equipment, Fanuc Finishing Robots, Motoman Robotic finishing Robots, and Wastewater engineers waste treatment equipment. Our experience in automated Abrasive, Blasting, Mass finishing, and Industrial Cleaning processes allow us to guarantee performance and production on any equipment or supplies we recommend. We can help determine what mechanical finishing system is best for your application. There are many finishing challenges in manufacturing and the processing of materials. There are multitudes of combinations of processes, machinery and abrasives used in the finishing effort. However, as simple as it may seem, all mechanical processes can be accomplished within the following categories: Abrasive finishing, Blast finishing and Mass finishing. Click here to order your copy: $29.95. Get the latest information on Mass Finishing Machines and Equipment.